With people changing jobs through the years, it can be easy to lose track of your retirement money tucked away in an old job’s 401(k) plan. For those who have some money left in their old employer’s 401(k) program, I want to share tips on deciding where to move your money and go through the process to make the transition from 401(k) to IRA smooth. Moving to an IRA can give you more freedom with your investment options, as you’re not tied to only the stocks that your old employer offered. One of the first questions you may have is deciding which brokerage to roll your money into so you can get your IRA off to a good start. If you already have an IRA with someone you can easily roll it over there so you can maintain a simplified financial system. If you don’t have an IRA already opened or you’re not happy with your current brokerage, here are some things to consider to find the best option for you and your money. When looking at brokerages, check their fees, including commissions. As you’re building your investments you don’t want fees eating up your returns. Open a Traditional or Roth IRA? The great thing about IRAs are the tax advantages associated with them. With Traditional IRAs you can deduct your contributions. With Roth IRAs, your withdrawals are usually tax-free. You have to decide what is best for your circumstances. For us, we decided to have Roth IRAs. Currently annual contribution limits for either account are $5,500 if you’re under 50 and $6,500 if you’re older. That gives you a great opportunity to stash your money away over the years. You don’t need much money to get started with investing. You also don’t need a complicated plan. There are many ways to diversify your portfolio easily. One way to do this is by investing in index funds. Looking for low cost index funds and Exchange Traded Funds(ETFs) can be beneficial for your portfolio. These are funds and ETFs that track a market index such as the S&P 500. Since they are typically not actively managed but automated you have much lower fees. Now that you have gained control over your money and have it in an IRA it’s time to set up an easy to maintain system to grow your portfolio. The easiest way to stay on target for your investment goals is to go ahead and automate your IRA contributions. It has certainly helped us avoid skipping deposits. You may have a fixed budget now, but if you simply increase your contribution every time you get a raise, you’ll be surprised at how quickly you build up your investments. How many of you have money left in a 401(k) at an old job? 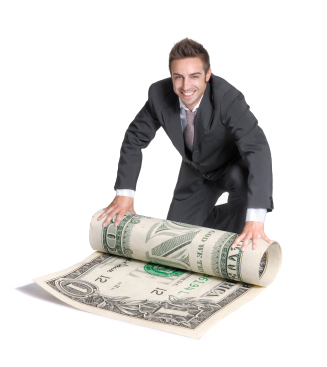 Are you rolling it over to your current brokerage or will you start fresh?